Cinderella is one of Walt Disney Animation Studios’ beloved classics, with its timeless story and iconic music. In recent years, Disney has set out to “reimagine” some of its animated classics by bringing them into the world of live-action. In just a few weeks, Maleficent, starring Angelina Jolie as the villain from Sleeping Beauty, opens in theaters, and there are plans for future adaptations as well. 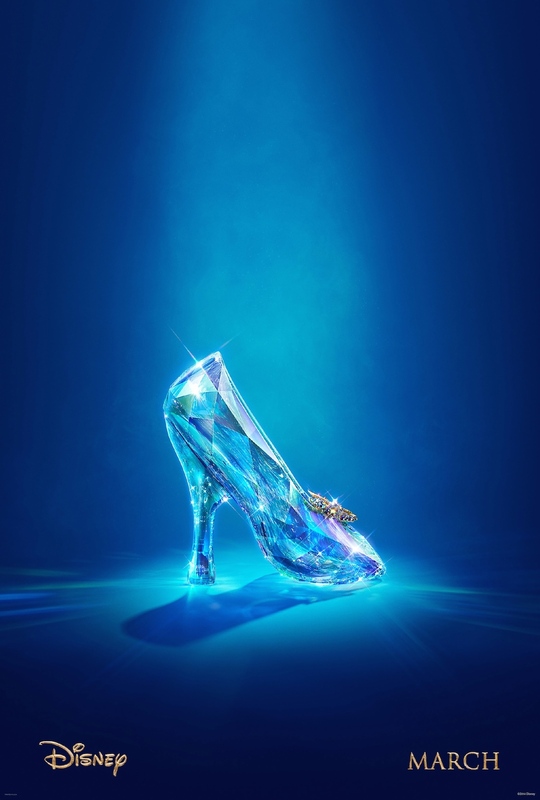 Cinderella is scheduled to open next year, but Disney has already unveiled the first teaser trailer and poster for the highly-anticipated film. Take a look after the break! The live-action version of the film has high standards to live up to, so you could say it has large shoes to fill (let’s get that idiom out of the way now and never use it again). The film is being directed by Kenneth Branagh, who is no stranger to adapting classics, as he has previously directed films such as Frankenstein, Hamlet, and Macbeth for the screen. The titular character is played by relative unknown, actress Lily James, best known for her role as Lady Rose in Downton Abbey. Joining her is a talented cast of veterans, including Helena Bonham Carter as The Fairy Godmother, Cate Blanchett as the stepmother, and Stellan Skarsgård as The Grand Duke. The role of Prince Charming has been given to none other than Richard Madden, best known as Robb Stark from HBO’s Game of Thrones series. Cinderella arrives in theaters on March 13, 2015!